Machining center with bin for workpieces, rotary table, processing station, conveyor belt for transporting work pieces and model compressor. 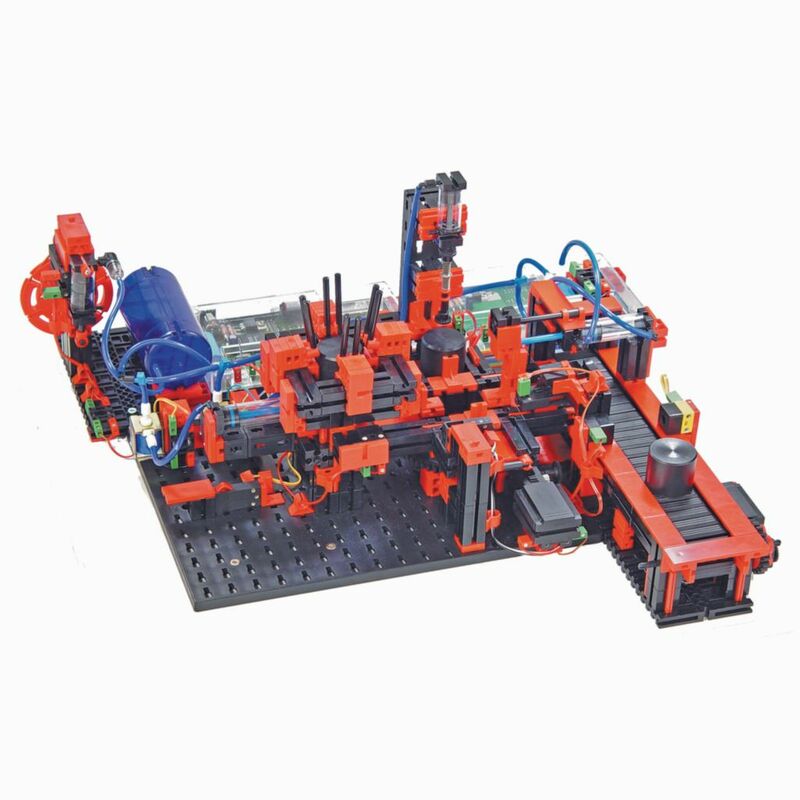 Contains two double-acting and one single-acting pneumatic cylinder, 5 x 3/2 solenoid valves, two DC motors, four proximity sensors, and four light barriers consisting of phototransistor and lens tip bulb. Model is mounted on a stable wooden board. Includes eight digital inputs and seven 9V outputs. Unit dimensions are 450 x 410 x 190 mm. Ordering information: Pneumatic processing centers require Fischertechnik Energy Set, available separately.